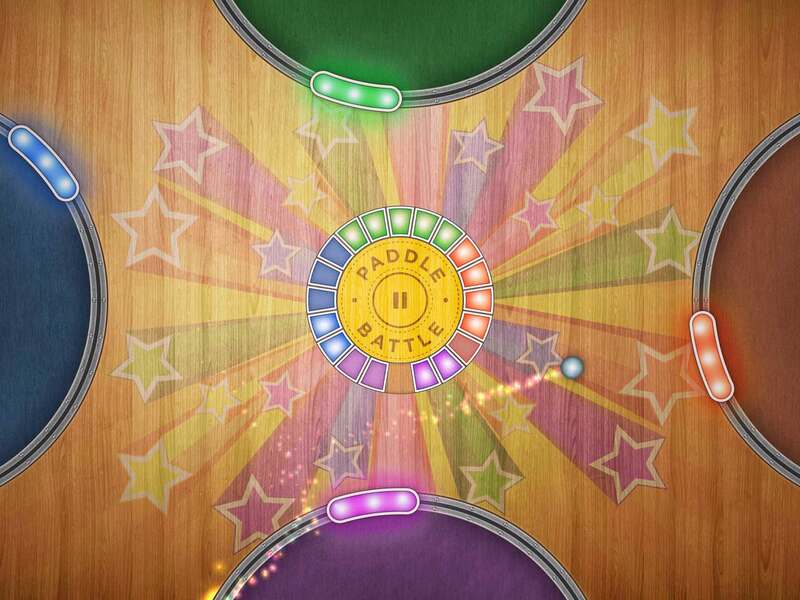 Paddle Battle is a free multi-player iPad game. Inspired by the famous air hockey game, I took the rules and number of players even further. Each player has five points in the beginning; if a ball passes through in the player's hitbox area, the player loses a point. The remaining player wins. Four players trying to block the ball. for helping me with the graphic design of the game. The scoreboard in the middle shows the points for each player. 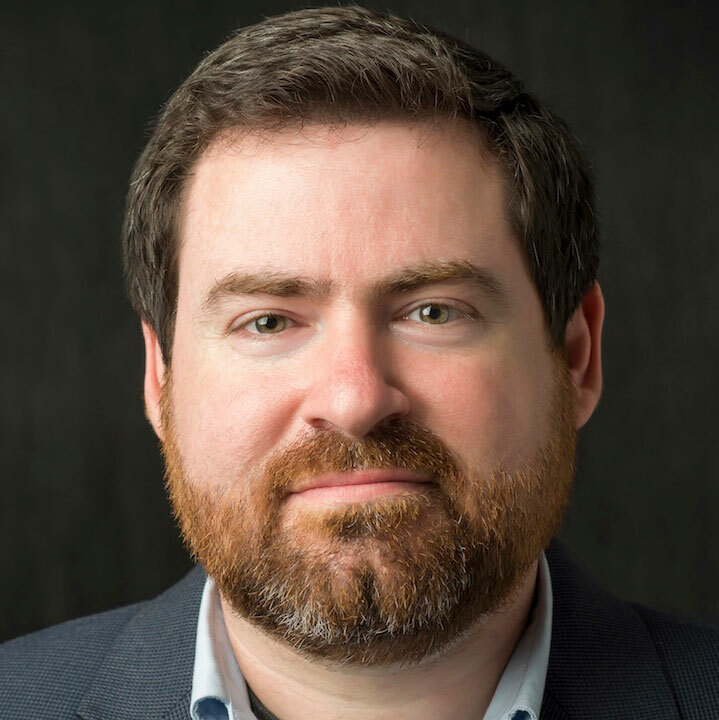 Dr. David Feldman is an Associate Professor of Counseling Psychology at Santa Clara University and a licensed psychologist. His approach is evidence-based and informed by positive psychology. 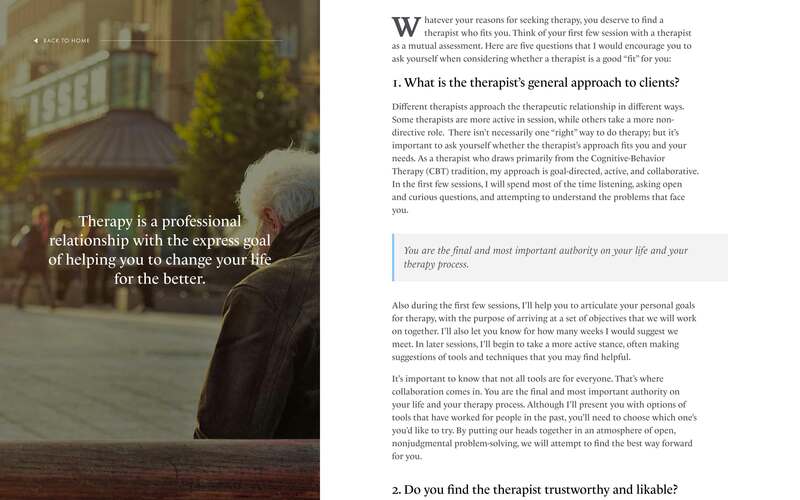 Dr. Feldman offers Psychotherapy sessions for his clients as well as coaching for highly educated professionals. The menu is positioned as part of the page. 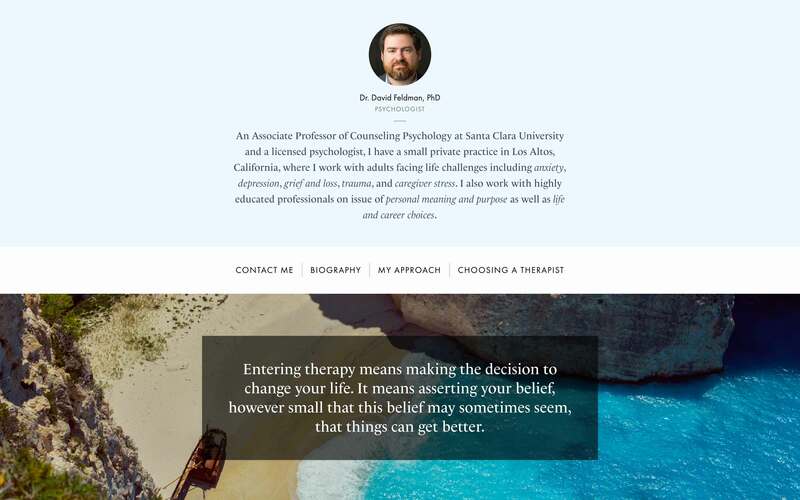 I had no idea how to design a website for a Psychotherapy practice, so I read (and re-read) the content Dave provided for me, and I asked him a lot of questions about how he works. 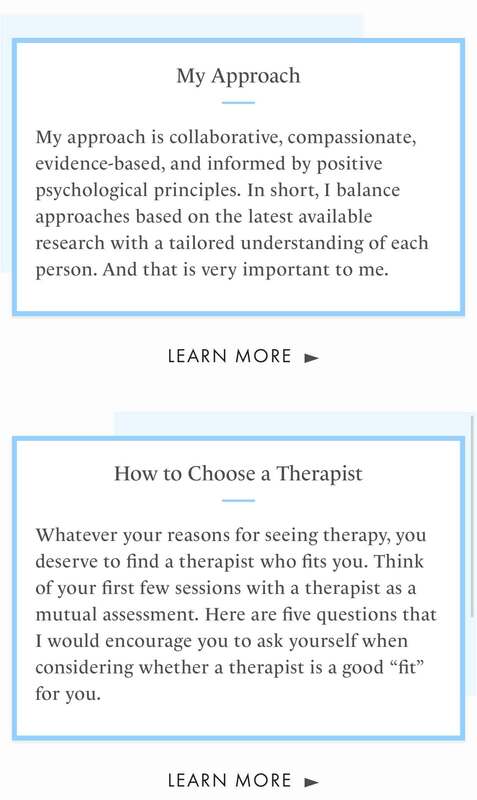 I came to understand that Psychotherapy is a very senstive and special relationship between the client and the therapist, and what matters most to the client is getting to know the therapist. Understanding that relationship was the key to a coherent website design. A lift and a back-to-home button on the left; a biography on the right. 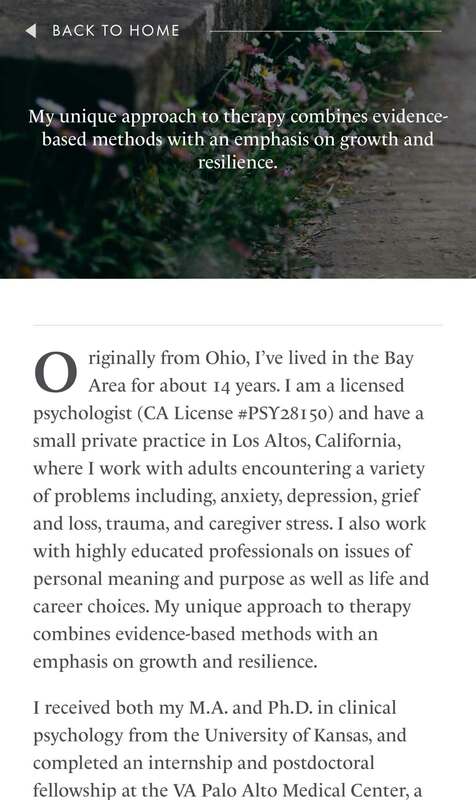 Emad did a fantastic job creating my private practice website. He has all of the requirements for a great web designer—technical skills, intelligence, and a great sense of style. 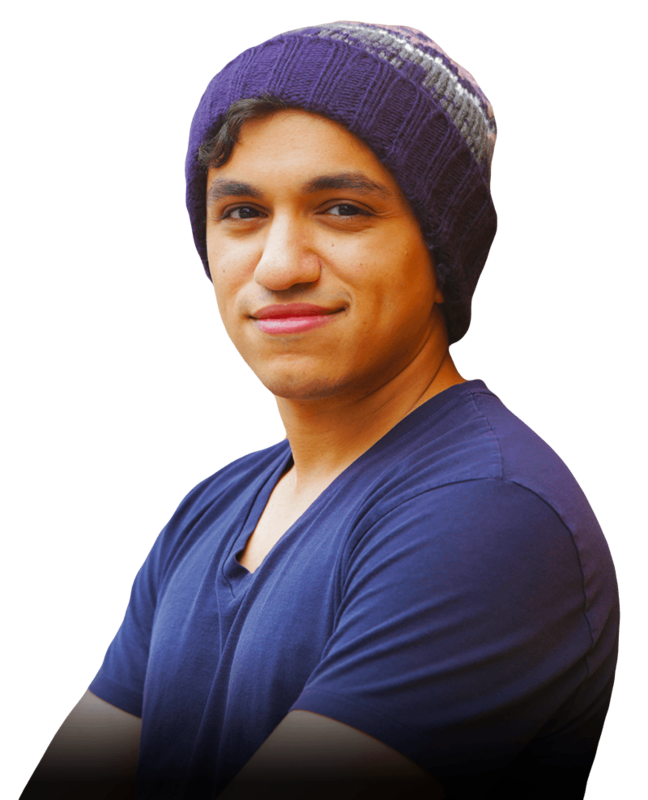 Most impressively, Emad worked to thoroughly understand me and my practice before designing the site. He believes that, besides being beautiful, a web site should communicate the philosophy of the business, organization, or person it represents. His work was done in a timely fashion with great attention to detail. It was wonderful working with Emad. I would highly recommend him to potential employers. I’m always interested in new opportunities. If you’re looking for a talented designer or developer, either full-time or contract/freelance, please E-Mail Me. When I was a kid in Cairo, I was a quiet person who liked to listen more than talk. I was more inclined to learn and consume knowledge than to share it. Public school was never particularly interesting for me, consisting of little but rote indoctrination, leaving no room for creative or reflective thought. I studied Computer Science in college, and even though I was a video game nerd, and computers were what interested me the most, I never really found my niche in college. I knew I wanted to travel and hopefully find a place that was a better fit for me. My last year of school coincided with the Arab Spring and Egypt’s revolution. It was very scary and thrilling at the same time. I joined three million people protesting in Tahrir Square where I learned that unity can be a very powerful tool for change. After college I worked in technical support for ESRI’s GIS software. 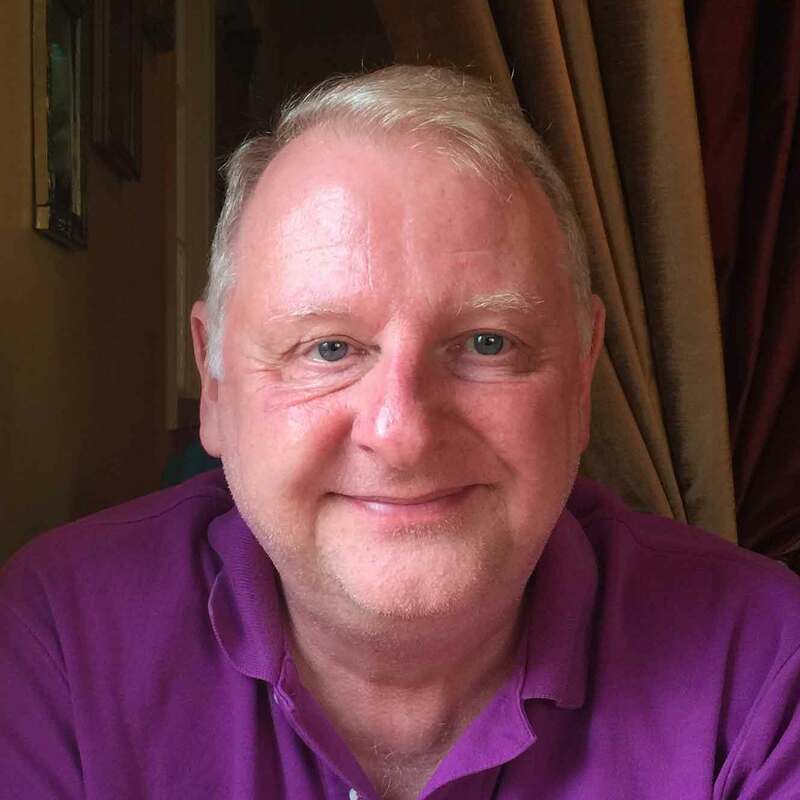 A few months later I was required to join the military – a minumum commitment of 14 months; it was a completely different world, I was constantly resisting the way they were dictating how I should think. I had one goal: I didn't want to be programmed. And I succeeded. After finishing my military service, I realized a keen interest in mobile app development, and succeeded in getting a job as an iOS developer. My first project was an iPhone app called Keep It Clean, which manages contact lists. I also worked on an iPad game about Christmas called Tree Topper. with my friend Eyad, who is an expert in digital marketing. We created an online market for Apple products in Cairo, where people could buy the new iPhone and iPad releases the same day they became available in the U.S. 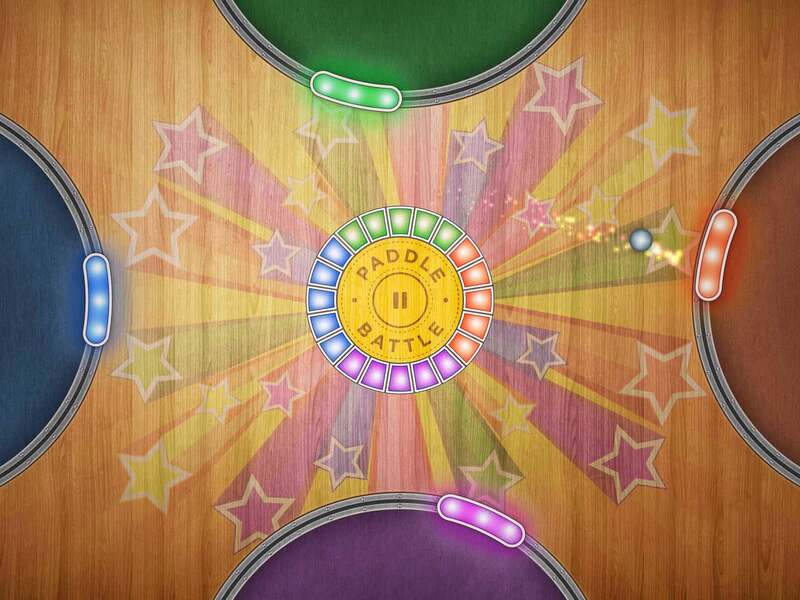 It was a major success.
. At Make School, I built a multi-player iPad game called Paddle Battle. I also met people from over 40 different countries, which was a real eye-opener for me. It expanded my understanding of people and cultures beyond anything before. That summer, I decided that San Francisco was where I wanted to be. It wasn't an easy decision, but I took a huge leap of faith, canceled my flight back to Cairo, and trusted that things would work out all right. I spent several months adapting to my new life in San Francisco, trying to figure out what really mattered to me. I read lots of books about writing, design, psychology, biography, and human development. I met a lot of people and made many new friends, many of whom indulged my incessant explorations of my psyche. During this time, I learned that I could shed the dull limits imposed by my school programming, and begin to experience my full creative potential. In less than a year, I became a completely different person. Today, I am a Designer and Front-end Engineer, and I love what I do.